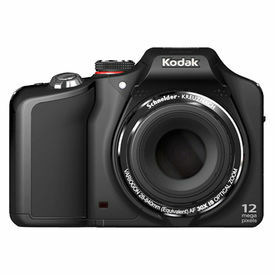 Introducing the Kodak PixPro Friendly Zoom FZ41 Digital Camera. Thanks to the 16MP CCD Sensor, you can capture pictures with real life beautiful clarity and contrast, and the 4x Optical Zoom gets you right in the middle of the action. Additional features: 27mm wide-angle lens, 720p HD video, panorama capture, Digital Image Stabilization, plus more! 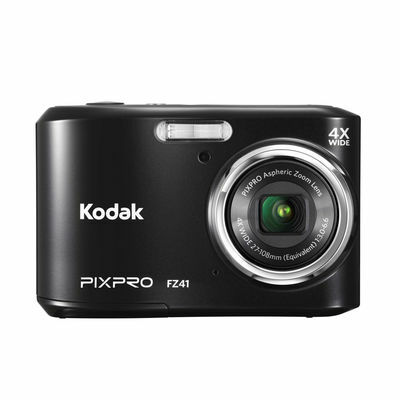 Introducing the Kodak PixPro Friendly Zoom FZ41 Digital Camera. Thanks to the 16MP CCD Sensor, you can capture pictures with real life beautiful clarity and contrast, and the 4x Optical Zoom gets you right in the middle of the action. Additional features: 27mm wide-angle lens, 720p HD video, panorama capture, Digital Image Stabilization, plus more! Exposure Metering Method Artifical intelligence AE (AiAE), Face AE.